Today we saw an example of how our one-way street network is only efficient for specific usage patterns (through traffic on days with no lane closures). This morning, a transport truck hit a light pole at Hunter and John. 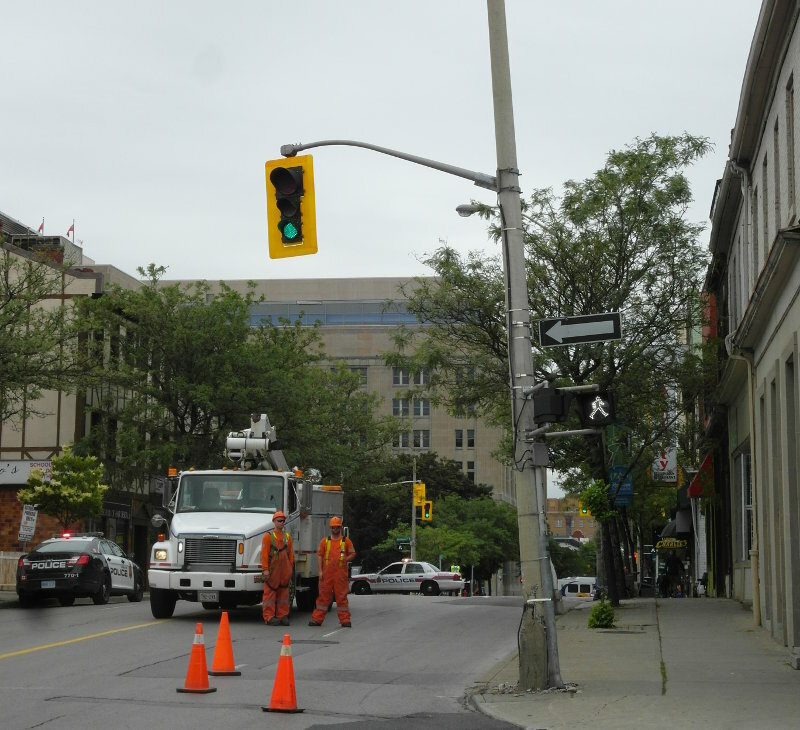 The collision and subsequent pole repair job resulted in complete closure of both Hunter and John. As of the time of this writing, the intersection remains closed. Drivers were forced to find alternate routes. 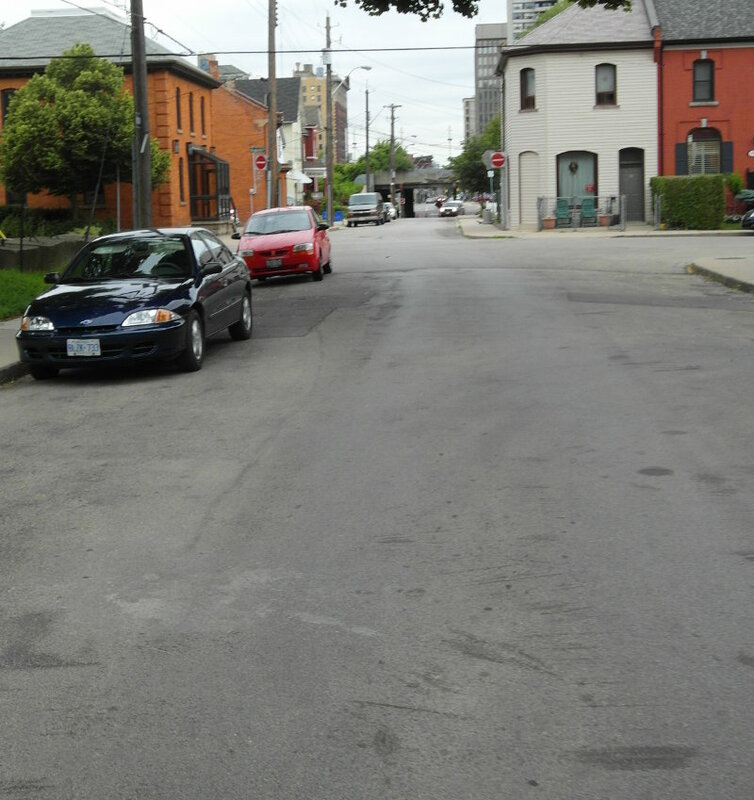 As the following photos show, only half of our grid was available to cars, since half of the streets go against rush hour flow. John and James were both backed up northbound, with empty southbound lanes. Luckily, both are two-way. Try to visualize the alternative routing if we still had northbound John and southbound James. Without northbound lanes on James, traffic would need to reroute to Bay, Walnut or Victoria! 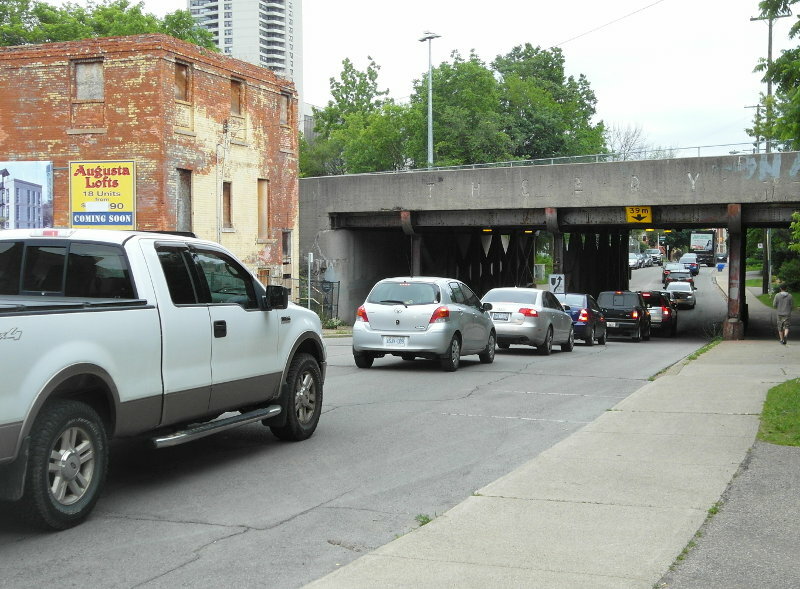 We've combined a path-restrictive one-way grid with a carte-blanche approach to through truck traffic, and this is the result. It is not an efficient network. If we had a proper two-way grid, there would be twice as many route options. If we created a system which moved through trucks out of the core and onto the ring highways, we'd have a lower risk of transport truck-scaled collisions. Efficient for through traffic, as you point out. But less flexible when there is a major traffic disruption, as the article notes. So, which one-way street do you live on, and have you ever tried walking with small children beside one of these? And yes, when there's no accidents the one-ways are a faster and more efficient way to get across town. But to get to an actual destination in town, they mean annoying backtracking and terrible pedestrian experience when you get out of your car. 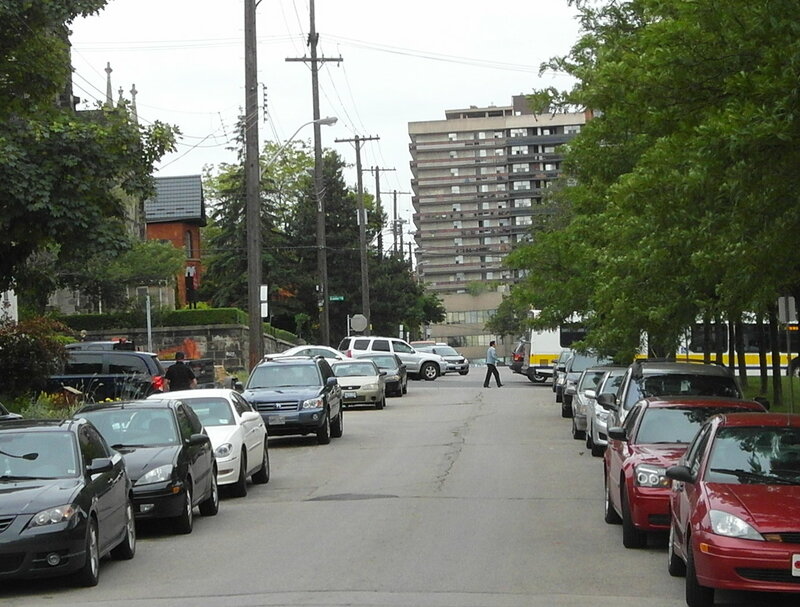 And really, if you're only driving through somebody else's neighbourhood and don't live there or work there, why should the people living there care what you want? On the flip side, there was an accident on James N, just south of Barton today that closed the southbound lanes. 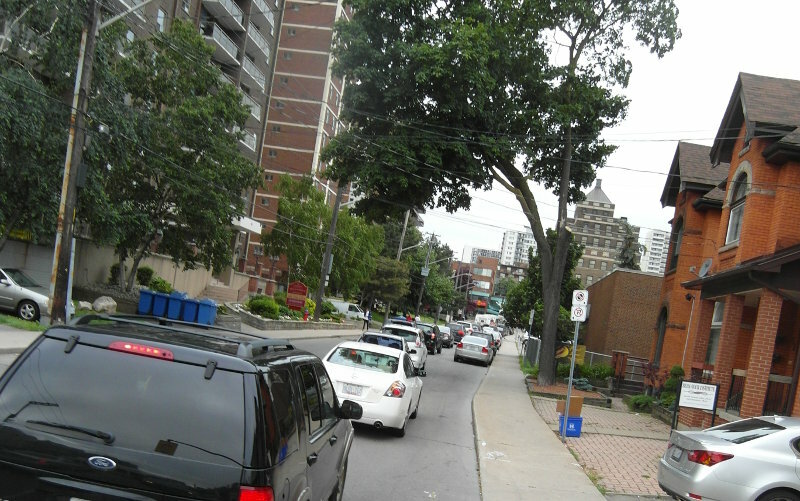 Traffic was re-routed southbound via MacNab (ironically just converted two-way today) and John St. Back when John and MacNab were both 1-way northbound, chaos would have ensued due to this accident. But with options, everything moved just fine.